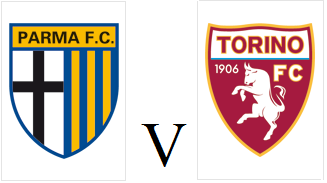 Torino ended their run of back to back league defeats with a hard fought 2-0 victory against Parma on Sunday evening. Despite, Thursday's tough Europa League clash there were not too many changes to the Toro starting eleven, although Cesare Bovo, Marco Benassi and Bruno Peres all came into the side. Parma had the first chance of the match, and it fell to former Toro loanee Antonio Nocerino, but the midfielder blazed the ball over the bar. Toro took the lead after twenty minutes when Maxi Lopez scored only his second league goal for the club after beating Alessandro Lucarelli to the ball before finishing from a tight angle. Ishak Belfodil almost equalised immediately for the home side, but the Algerian headed over the bar from close range. The night then got even worse for Parma captain Lucarelli who was dismissed ten minutes before half time for dissent, after reacting badly to being booked for an elbow on Fabio Quagliarella. Belfodil continued to be the home side's biggest threat, and they came so close to scoring an unlikely equaliser, but the former Inter man hit the post. Toro finally made their numerical advantage tell with fifteen minutes remaining when substitute Migjen Basha headed home Cristian Molinaro's excellent cross. Fabio Quagliarella almost made the scoreline more flattering, but Toro's top scorer saw his effort tipped round the post by Alessandro Iacobucci. Torino will need to overcome a 2-0 first leg deficit in order to prolong their European adventure when they face Zenit St Petersburg on Thursday evening. Marco Benassi's first half red card made things difficult for the Granata in Russia, so he misses out due to suspension, whilst Giuseppe Vives is out injured. Giampiero Ventura will once again have to choose between Josef Martinez and Maxi Lopez to partner Fabio Quagliarella up front. The bookmakers certainly believe it may be against Toro to progress to the quarter finals, with the Italian side 7-1 underdogs to make it through. However, the Granata have already upset the odds by eliminating Athletic Bilbao in the previous round, and it would be foolish to bet against them again. Torino prepared for Thursday's crucial Europa League tie against Zenit with a 2-0 home defeat against Champions League chasing Lazio on Monday evening. Giampiero Ventura's team selection suggested that his attention was already on Thursday's game, as fringe players Pontus Jansson, Gaston Silva, Migjen Basha and Amauri came into the starting eleven. Marco Parolo had Lazio's best chance of the first half, but his near post shot was tipped over the bar by Daniele Padelli. At the other end, Amauri's header forced a great save from former Toro man Federico Marchetti, whilst Josef Martinez put the rebound wide of the post. Substitute Keita Baldé somehow missed a one on one opportunity when well placed, and it looked as though Toro may hold on for a point. However, with twenty minutes remaining Felipe Anderson scored a wonderful solo effort that begun on the centre circle, before finishing calmly past Padelli. Toro's best chance for an equaliser came from Matteo Darmian, but the Italy international's long range shot was tipped round the post by Marchetti. The result was put beyond any doubt with twelve minutes remaining, and once again it was Felipe Anderson, but this time the Brazilian needed the help of a deflection to get the ball into the net. With this game sandwiched between the two Europa League ties against Zenit, it did seem as if Toro's attention was elsewhere, and if the Granata do manage to eliminate the Russian side, then this game and performance will be quickly forgotten. 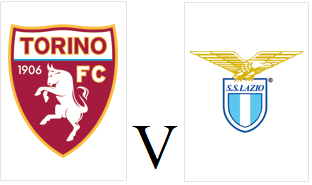 Torino will look to rebound from Europa League disappointment when they face in form Lazio on Monday evening. Toro include former Lazio man Alvaro Gonzalez in the squad for tomorrow's match, but Cristian Molinaro and Alessandro Gazzi miss out through injury. With Thursday's crucial Europa League tie in mind, Giampiero Ventura may choose to rest a number of key players. Lazio have already beaten the Granata at the Olimpico this season (3-1 in the Coppa Italia) and travel to Turin in excellent form, having won their last four fixtures. Torino will have to produce a sensational performance to reach the Europa League quarter finals after suffering a 2-0 defeat against Zenit on Thursday evening. As expected, Giampiero Ventura brought Nikola Maksimovic, Matteo Darmian and Marco Benassi into the starting eleven, whilst Josef Martinez's pace was preferred to Maxi Lopez's physicality. Whilst Venezuelan striker Salomon Rondon had an early shot saved by Daniele Padelli in the opening stages, Toro had managed to cope with what their hosts had to offer for the first twenty five minutes. However, the turning point of this match occurred in the 27th minute when Marco Benassi received a second yellow for a foul on Axel Witsel, and the Granata were reduced to ten men. And things got even worse for Toro ten minutes later when Padelli could only parry Igor Smolnikov shot, and Belgian international Axel Witsel capitalised on Kamil Glik's slip to fire home. Zenit doubled their lead seven minutes into the second half, when Hulk's initial shot hit the post, but fell into the path of Domenico Criscito to side foot in. The home side failed to extend their lead, which may have put the tie beyond any doubt, and in the closing stages, Alexander Farnerud almost scored a crucial away goal for Toro, but pulled his shot wide of the far post. This was a disappointing defeat for Toro, especially considering they looked equal to their hosts until Marco Benassi unnecessary dismissal. The Granata are still in with a slight chance to progress to the next round, but it will provide a performance even better than that famous night in Bilbao. Torino will make the near 1761 mile journey to Saint Petersburg in search of a positive result in their first leg of the Europa League last 16 clash with Zenit. Toro have no injury concerns ahead of the trip to Russia, and Maxi Lopez, who scored three times against Athletic Bilbao should get the opportunity to add to his goal haul in this competition. Matteo Darmian and Omar El Kaddouri, who were both rested against Udinese on Sunday, should also start. Zenit are the current leaders of the Russian Premier League, having only lost two matches all season in the league. Their home record is also a formidable one, with André Villas Boas' side being unbeaten in their last twelve Europa League games in Russia. 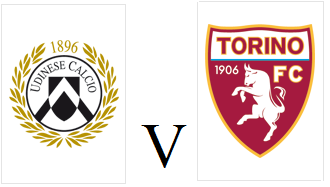 Torino will aim to make it thirteen games without defeat when they face Udinese on Sunday afternoon. Giampiero Ventura may opt for an unchanged starting eleven from the side that beat Napoli a week ago, but with a trip to St Petersburg on the horizon, the veteran tactician may opt to rest a few members of the squad. Udinese are in poor form having lost their last three matches, but did earn a creditable 0-0 draw against Juventus at the Friuli at the start of February. The Granata won this fixture 2-0 last season, thanks to goals from Alexander Farnerud and Ciro Immobile. Torino's extraordinary week continued as they extended their unbeaten run to twelve Serie A matches with a narrow 1-0 victory against Napoli on Sunday evening. As expected, Bruno Peres returned to the starting eleven for Toro - with the Brazilian wing back being ineligible for the Europa League, whilst fellow South American Josef Martinez was chosen to partner Fabio Quagliarella up front. It was Peres and Martinez who combined in the early stages for the Granata's first chance of the match, but the former's low cross was somehow blazed over the bar by the Venezuelan forward. Omar El Kaddouri, who impressed in both legs against Athletic Bilbao, had Toro's next chance, but the Moroccan should have done better with his half volley from the edge of the area. Napoli were restricted to long range efforts in the first half, but Marek Hamsik almost opened the scoring in sensational fashion with a volley from distance that flew narrowly past the post. The away side were beginning to control the game, and Daniele Padelli had to fist away Gonzalo Higuain's shot from just outside the area. However with around twenty minutes remaining, defender Kalidou Koulibaly needlessly gave away a corner and Toro capitalised. Alexander Farnerud's corner found the unmarked Kamil Glik, and the captain headed home his sixth goal of the season so far. Napoli had two great chances to rescue a point, but Gonzalo Higuain blazed his shot over the bar, whilst substitute Manolo Gabbiadini was unlucky to see his free kick rebound off the post. Cesare Bovo almost doubled Toro's lead with a free kick of his own, but he was denied by Mariano Andujar's quick reactions. This result means that if the season had started on January 1st, Toro would be top of the league - and have yet to taste defeat in the league in 2015.